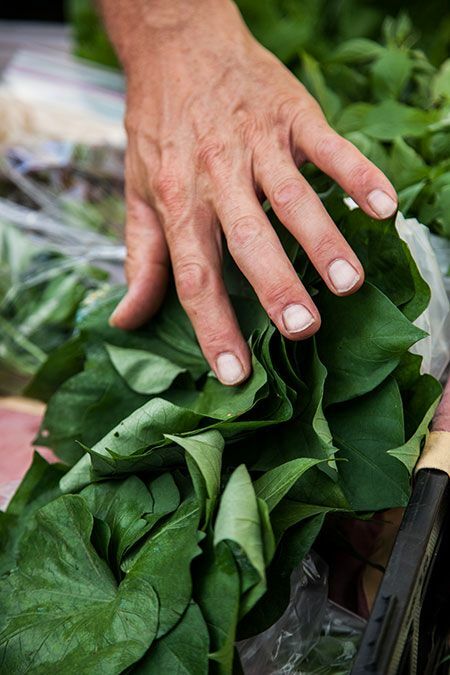 Food justice means that all people are able to choose healthy, culturally appropriate foods no matter their age, race, ethnicity, income level or where they live. At this moment in Central Texas, universal food access is a goal that we are still working towards. The inequities in our food system, such as limited availability of healthy foods like fruits and vegetables have been a reality for families in Central Texas for far too long. As SFC Deputy Director Andrew Smiley says, “It’s taken us well over one hundred years to mess up our food system. So, it’s gonna take us a while to fix it.” But, with the involvement of our entire community, we can have a just food system! Through SFC’s Farm Direct Program, the Double Dollar Incentive Program (DDIP) provides families with the option to choose sustainably grown, fresh, local produce at our Farmers’ Markets and Community Farm Stands, when it might otherwise not have been a choice. Through the SFC Grow Local free gardening classes, and Spread the Harvest resource giveaway, people have the resources and knowledge needed grow their own vegetables at low- to no cost. SFC’s The Happy Kitchen / La Cocina Alegre® community cooking classes allow for an exchange of knowledge about healthy cooking among peers within a community, and helps build the skills and the confidence participants need to feed themselves and their families well. Through these programs, we can track the impact on the individual, but can also recognize a larger systemic shift with a growing capacity within communities to take charge of our food system – to Grow, Share, and Prepare. Here at SFC, we see food as a celebration of culture and a vehicle for good health. From our perspective, every new gardener, every DDIP customer at the Farmers’ Markets, and every home-cooked meal is a win for food justice!